Valentine week has already started. The whole week will be celebrated with different names and the main event will be on 14th February which is celebrated as Valentine’s day. In this article, I will be pointing you to the best valentine day offers 2019 from all the online shopping sites. You will see the best deals coming to you on every kind of product from all the top shopping portals. You can purchase new gifts for loved ones from the sale or you can also make a purchase for products which you are looking to purchase, after all, you will be getting special discount on this special day. So, it’s going to be less expensive this year to shop on valentine day as there will be countless deals on thousands of products from every brand and every category. I will be collecting some of the best deals from the sale in order to give you direct access to discounts from the sale. It’s going to be fun for you to shop at a crazy discount which you will be seeing in valentine day deals. So, stay updated with us for best Valentine day offers 2019. 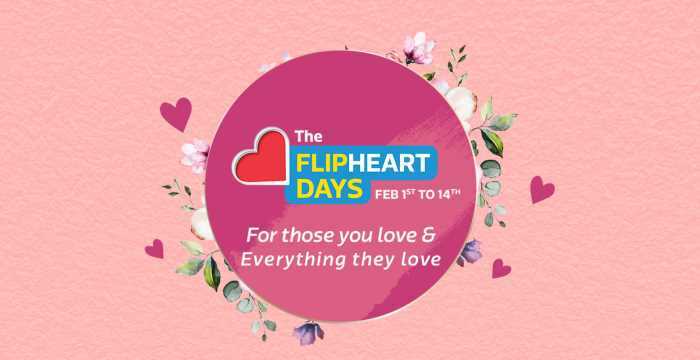 Flipkart has a special sale for this valentine day which is named as flipheart day sale in which you will get so many offers on most of the products which are available for shopping at flipkart. In the sale, you also get an extra 14% instant discount when you pay through HDFC Bank credit or debit card. You can save up to rs 750 by using your HDFC bank card. Amazon Also has some amazing deals on Gifts for men and women for Valentine day 2019. You check their sale page for amazing deals. So, these were the best valentine day offers 2019 which are available on amazon and flipkart. You can avail these offers to save money on your next online shopping order.